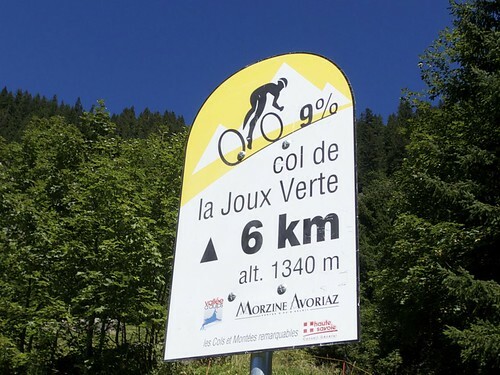 At just over 100 kilometres and 3000 metres of ascent, this quintessential north Alps loop climbs the best roads surrounding Morzine. Col de la Ramaz, Col de l’Encrenaz, Col de la Joux Verte, and Col de Joux Plane (just preceded by Col du Ranfolly – see map). The beauty of this loop is that after each climb – if you are too tired to continue – there is an easy way to head back to the start at Taninges. 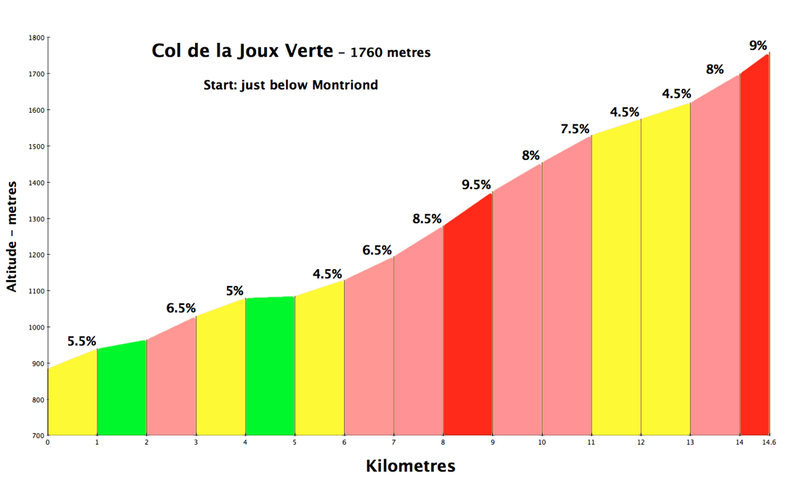 In fact, I only added Col de Joux Plane at the end as I was feeling fairly strong. Starting in Taninges allows a few easy kilometres before starting up Col de la Ramaz. I watched a 2010 Tour de France stage here. I didn’t take any photos this time, but here is a detailed video and photo preview of Ramaz. Here is a post cycling Joux Plane, Encrenaz, and Ramaz in the opposite direction. After Ramaz, descending from Savolière is a tiny turn off to Col de l’Encrenaz. It’s easy to miss — as is the entry to the other, much tougher, side below Morzine — of this super quiet road. I had a baguette at the Col and then descended down towards the Vallée d’Aulps. It had been a long time since I had cycled to Col de la Joux Verte. It’s a beautiful climb, basically the back way up to Avoriaz ski station. The direct descent to Morzine is super fast, full of hairpins, and mountain views. So much fun, I didn’t stop for a photo. 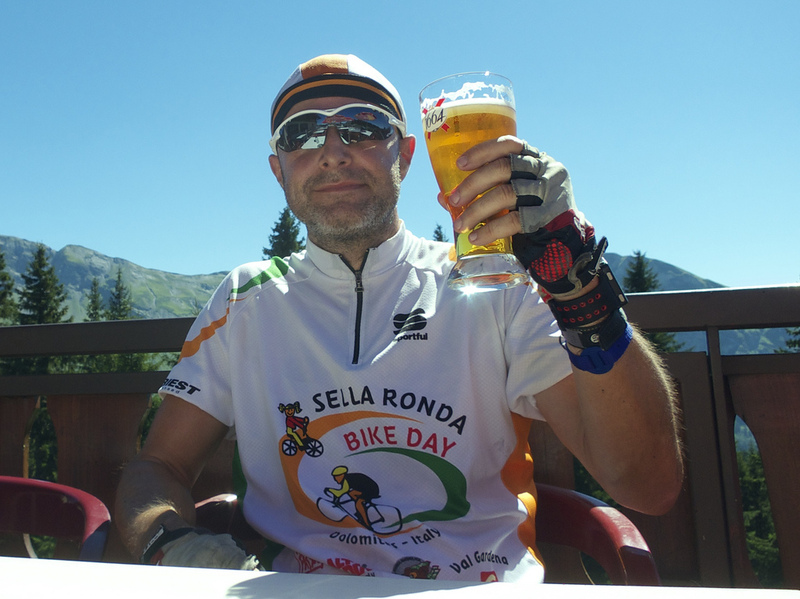 Maybe the beer gave me extra courage, but instead of taking the easy route back via Col des Gets, I decided to return via Col de Joux Plane. 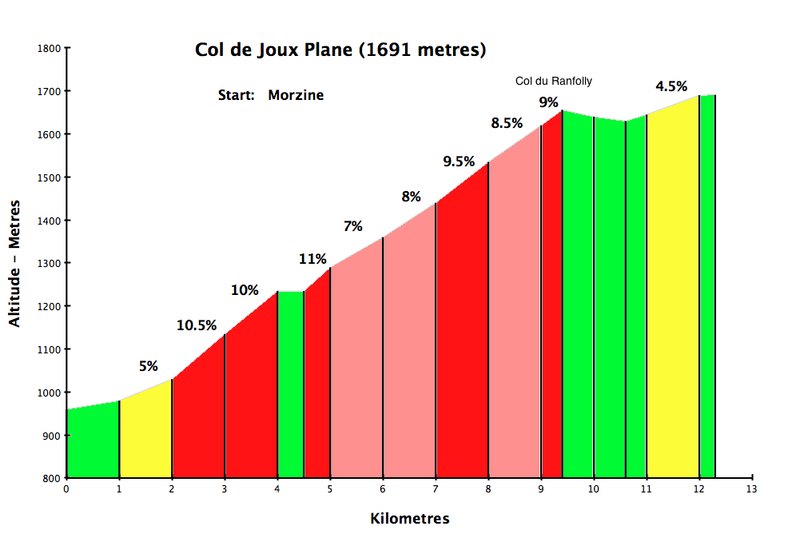 From Morzine, this is the “easy” side of Col de Joux Plane. But it’s still a challenging and worthwhile ride up through the ski slopes. I’ve done quite a few posts detailing the tougher more famous south side from Samoëns. Here’s a recent winter, snow ascent. Here is an old post also climbing the north side of Joux Plane in a Mountain bike loop with the fabulous Col de la Golèse. 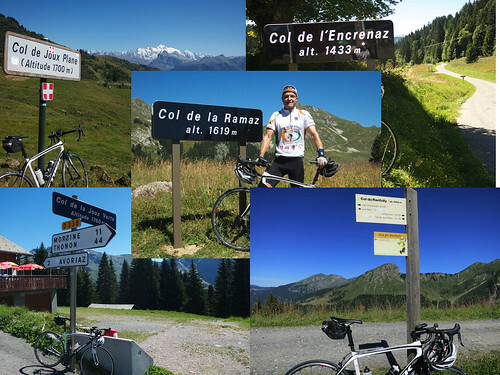 The north side summits at Col du Ranfolly, and then it’s a couple of quick kms to Col de Joux Plane. There were beautifully clear views of Mont Blanc from the summit. This is a fabulous loop – in either direction. And again, it is always possible to cut the loop short after any climb by returning via Lesgets. 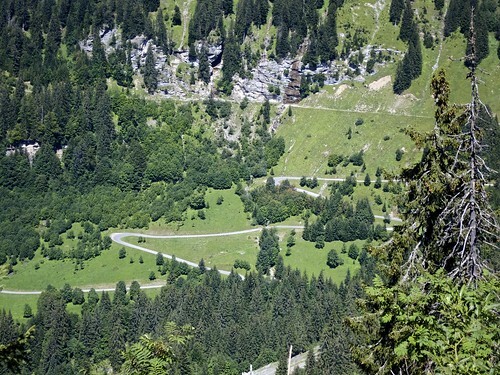 At just over 100 kilometres and 3000 metres of ascent, this quintessential north Alps loop climbs the best roads surrounding Morzine. A fantastic loop that I am lucky enough to have on my doorstep. Did this a couple of days ago on a cold Sunday, missing out Joux Plane but starting near home with Ramaz from Mieussy and finishing with Ramaz from Tanninges. Rather than taking the road to Les Gets etc from Tanninges there are two other possibilities that are much quieter and more esoteric. The one I use is really steep and follows the road marked on Google maps – Ancienne voie communale No2 de Tanninges a la Cote D’abroz. 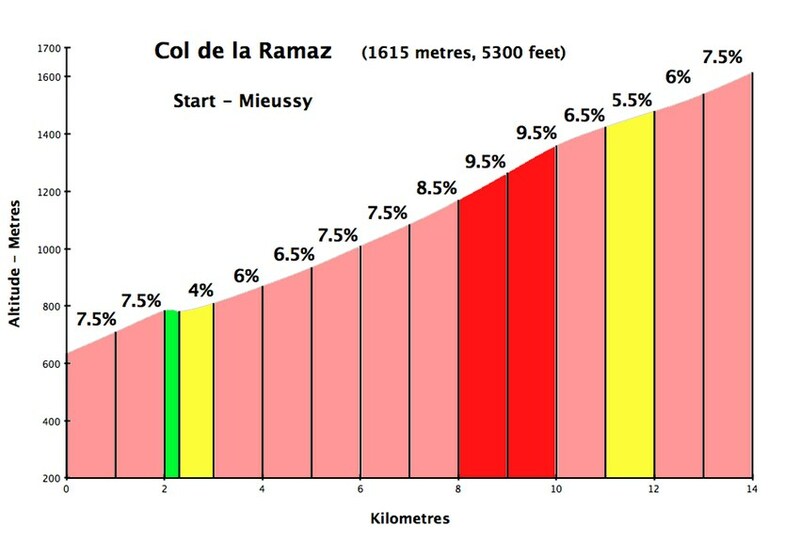 Here you will ascend to a small village called Rond (the steepest of the climbing being the first 2km average 20%) before joining the road up to the Col de la Ramaz.. I’m going for 50 ascents of Ramaz this year …………just five left to do before the snow spoils the fun!! 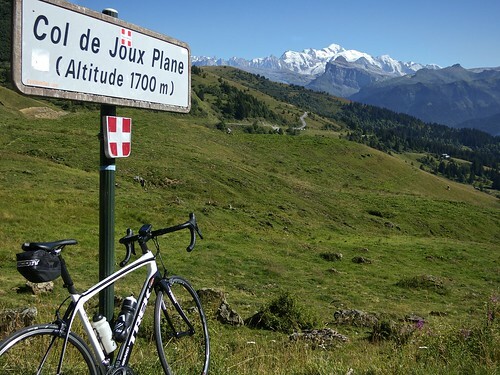 Pingback: Col de Joux Plane – Duathlon?